“In London, it seems everything that’s not a shop, offices or luxury apartments is being demolished,” sighed artist Duggie Fields when I interviewed him last month for a piece in Uncut about the imminent demolition of Earls Court Exhibition Centre. It’s a quote that, in a nutshell, seems to encapsulate all that is going wrong with London right now. 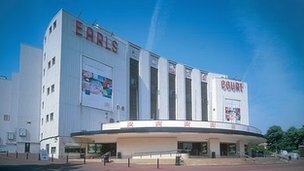 Earls Court will be pulled down early next year and replaced by houses, ending the area’s 120-year history as a place of fun. This history is well known to London nerds, but is worth repeating. The former cabbage field of Earls Court was transformed into a funzone by Yorkhire entrepreneur John Whitely at the end of the 1880s, when he brought Buffalo Bill’s Wild West Show to the newly transformed exhibition site, hemmed in between railway lines. It featured a miniature Rocky Mountains, Native American village, corrals and a cowboy bunkhouse. “The show was a revelation,” write Felix Barker and Peter Jackson in Pleasures Of London. A few years later, the site attracted London’s first big wheel – a 300ft monster called the Gigantic Wheel. When that lost its thrill, new entertainments were sought – including plans for a mechanical racecourse. Numerous exhibitions were also held there – including Captain Boynton’s Water Show in 1893, the Greater Britain Exhibition, in 1899 and Shakespeare’s England in 1912. Then in 1937 the Exhibition Centre was built. It opened with a Chocolate and Confectionery Exhibition and went on hold swimming galas, motor shows, the Royal Tournament and events for the 1948 and 2012 Olympics. It’s a decent looking building, too, well worth saving for its lovely Art Deco curve and revolutionary concrete engineering. So many magnificent buildings from this era are being lost. 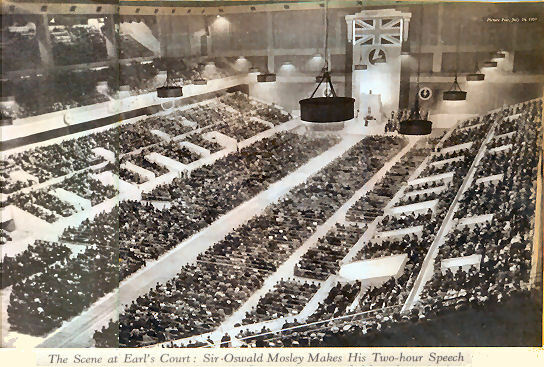 Less, pleasantly, in 1939 it hosted a gargantuan meeting of Oswald Mosley’s fascist blackshirts. 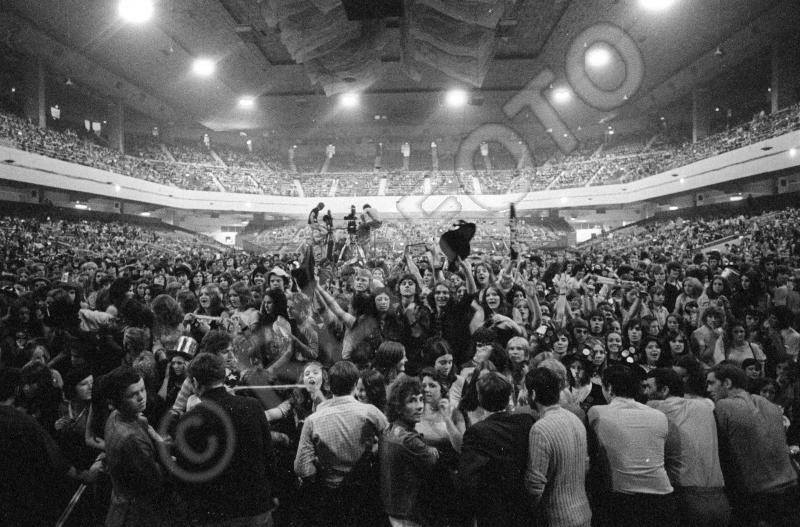 From the 1970s, Earls Court also began to host pop shows. David Bowie was first to play there, although Noddy Holder of Slade claims they were the first to book it and then managed to improve the sound after Bowie flopped. Concerts by Bob Dylan, Led Zeppelin, Queen, Rolling Stones and Pink Floyd followed. I saw Oasis there, unfortunately, and also the BRIT awards in 2000, when I threw a champagne cork at Christine Hamilton. And now it’s to come down, replaced by 8,000 houses and some shops. Duggie Fields has lived in Earls Court since the 1960s. 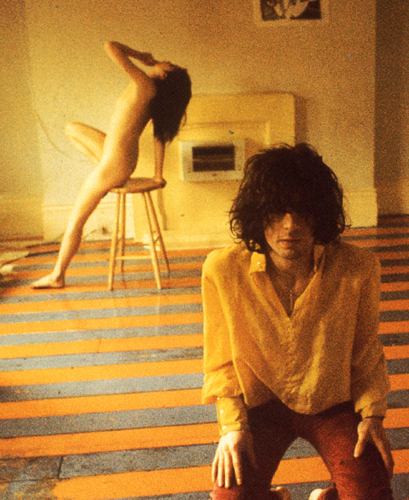 You may recognise his flat – and former flatmate. He points out that the removal of the Exhibition Centre will, at a stroke, remove any point or purpose to the Earls Court area. “It has nothing for people to come to,” he says. “Just boring anonymous shops and lots of traffic. All we’ll get is more chainstores because there’s no neighbourhood, there’s no locals. You can’t create villages, they grow over a long period of time.” He also fears for the pubs and restaurants that rely on the Exhibition Centre, which has still been functioning almost round the clock despite impending doom, for their custom. He’s right. Earls Court is, even with the Exhibition Centre, one of the most boring areas of London. Without it, it’s pretty much irrelevant. But there’s a problem here too. London needs housing, desperately. Surely these 8,000 or so units will help? It seems unlikely. The new apartments will – like those in the big new developments and Nine Elms – be aimed at the pockets of investors and speculators, people with deep pockets who have taken advantage of stagnant interest rates to buy up property and then charge eye-watering rents for them. It’s hard to blame them, as economic policy seems designed purely to over inflate London’s property market, but the damage is considerable. Because not only are they building identikit apartments in areas nobody that actually needs housing can afford, they are in the process annihilating anything that could be seen as fun – pub, music venues, sports grounds as well as historic structures like Earls Court. It’s a depressing, dismal outcome that offers the worst of all possible worlds. It’s also entirely typical of the current state of London: could you possibly imagine a scheme as imaginative and as exciting and beneficial for the public as the conversion of Tate Modern happening today? Not a chance. It would be flattened and replaced by luxury glass apartments. What do we get instead? A bloody Garden Bridge, stupid cable car and shopping centres. Thank god at least the Olympic site has been safeguarded – for now. This entry was posted in Architecture, Drugs, Exhibitions, Journalism, London, Music, Politics, Property, Pubs and tagged Bob Dylan, David Bowie, Development, Duggie Fields, Earl's Court, Exhibition Centre, housing, London, Nine Elms, olympics, Pink Floyd, property, Rolling Stnes, Slade, Syd Barrett, Uncut. Bookmark the permalink. Housing is the only thing left in London that is a safe bet for investors. Look at Battersea Power Station. The mean, the soulless and the suburban-spirited are confident they transform London into a placid playground for those with means. And so that others might serve them in shops, we ask for some of the properties to be ‘affordable’. They’re destroying this city bit by bit. New York and Paris have the same problem. You mentioned New York, and a similar thing happened a little over forty years ago. There was a popular attraction across the Hudson River in New Jersey, called Palisades Amusement Park. PAP was pretty much a cheesy knock-off of, say, a Six Flags Park or Disneyland, but it was immensely popular. In 1971, even as the Park was still a very lucrative proposition, its attempts to increase car park capacity were unsuccessful with the local council, and, believing that there would never be any better time than that present one, the owner sold out to condominium developers, who had the already built-in bonus of PAP’s panoramic view of Manhattan, to build colorless towers full of overpriced units. A not-inconsiderable part of what had made hot summers tolerable for those trapped in Manhattan was done away with at a stroke, merely so more people could move ever closer to the Big Apple and create even more traffic congestion every working day of the year at the George Washington Bridge and Lincoln Tunnel than summer afternoons and evenings, mostly on weekends, ever did. It’s all rather depressing, while it was a terrible music venue I find it difficult to believe that there is no use for a refurbished exhibition centre. Any housing built won’t be affordable, because even social renting no longer is. The Art Deco facade will be a sad loss, even if the rest of it goes. Yes but no but… No-one can destroy a city. There is churn though. Peckham and Brixton were once sanitised salubrious suburbs for the well-to-do and in Covent Garden policemen went in threes — look at those places now. And as I said, Notting Hill was multi-occupancy Rachmanland just a generation or two ago. I used to work in the music business for a time and Earl’s Court was having a hard time then, competing with Wembley and the rest — that was before the O2. It got sold, so I guess that says it all. I suppose the positive take-away message is that ‘they’ can put up ‘soulless’ and the real people just move into the space that’s left behind. It has always been that way. The Earl’s Court area hasn’t changed much since the ’70s. This shouldn’t be a cause for celebration in itself, but as a ratty old quarter surrounded by hyper-sanitised urban development and deserted mansions, it’s a refreshing breath of stale air. I like it a lot. But this isn’t really the point. Yes, London needs more housing, and you’re spot on in identifying that SW5 is NOT the most sensible postcode in which to build it. What you omit to mention is that two neighbouring estates are being pulled down to make way for Terry Farrell & CapCo’s development. ‘Dodgy’ doesn’t come close. But it’s happening all over the surrounding area. Investment developments are springing up like molehills round my way. The rumour is that one of them on the street next to mine was snapped up by a Korean investment group before the foundations had even been laid. It’s almost finished now, and it’s a sub-Poundbury eyesore. Will its owners make proper provisions for affordable housing on their new domain? Don’t make me laugh. Having worked on the Excel exhibition centre project in the mid 90s, it was clear that the exhibition industry hated Earls Court. The access was rubbish, hotels for staff and contractors expensive, services from the centre priced at monopoly rates (there was even an OFT investigation). When it was clear Excel was going to happen, I suggested Earls Court be turned in to a proper Convention Centre – a market London hasn’t really got a hold in. (For “convention” think 5,000+ delegates attending for 3 or more days). Credit to Stephen Greenhalgh for at least looking into this in the late 00s when Capital & Counties started talking to the council about it’s redevelopment. However, there is good news on the back of this (apart from the ,000s of new homes). The other bit of the exhibition centre, Olympia, is taking over most of the former Earls Court business and new convention facilities will form part of that. Whilst Excel may be the place to go if you want to see the Industrial Cleaning Show or the Pump and Valve Exhibition, the iconic (and listed vaulted halls of Olympia, is a far more interesting prospect for concerts, public shows like Ideal Home and – with the new investment – those lucrative conventions. All well supported by the hotels, bars and restaurants which Docklands still lacks. There is a useful distinction in British English (English English?) between flats and apartments – please don’t fall into the Estate Agents’ evil plan for us all to use apartments instead of flats. Executive-style apartments no doubt is what they want us to call them. I am pretty surprised that an exhibition centre can’t be made profitable in London. What a sad state of affairs. While it’s not quite as large as the current Eye of London (at around 400 ft. compared to Gigantic’s 300 ft) it’s amazing simply because it was built a hundred years earlier!